There is no better way to brave the chilly temps in style than with a cozy knit. Trendy and stylish, we can always count on this garment to keep Us fashionably snug all fall long. At Shop With Us, we take pride in browsing the racks for gorgeous finds and this high-low sweater is calling our name! 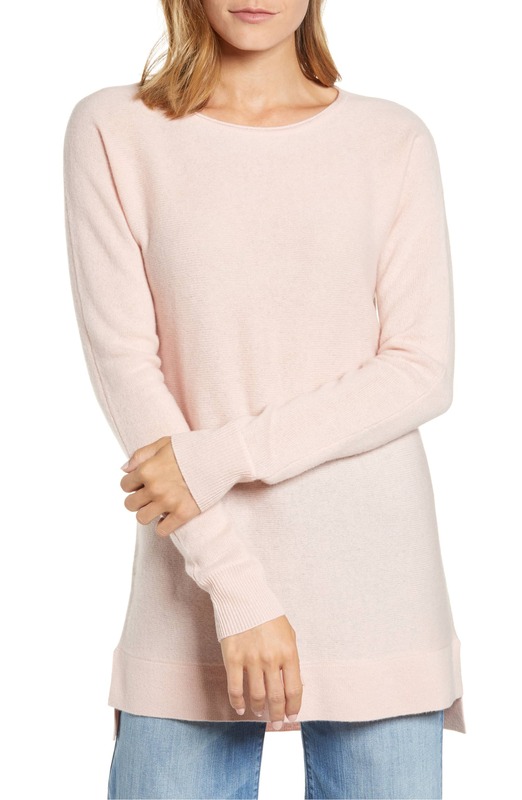 See It: Grab the Halogen High-Low Wool & Cashmere Tunic Sweater for only $129 while it’s still in stock. 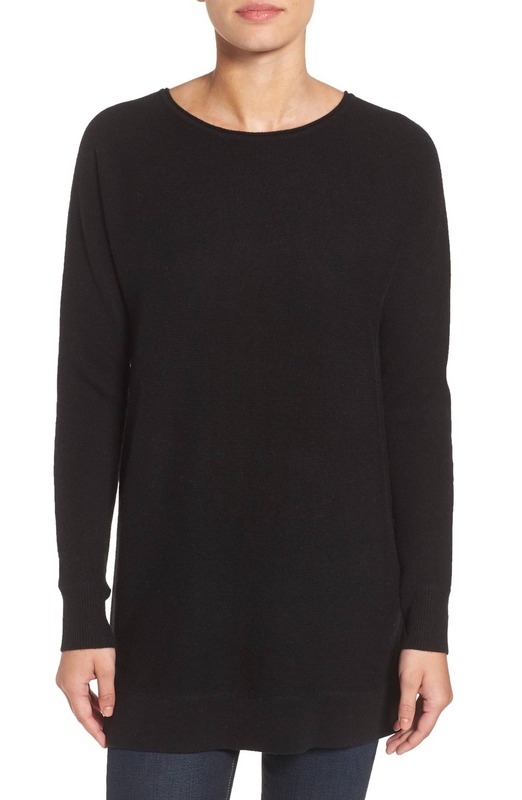 The Halogen High-Low Wool & Cashmere Tunic Sweater is the fabulous knit we can’t get enough of. Designed with a super soft blend of wool and cashmere, this garment offers the ultimate level of comfort. Made with a pullover style, this piece will make a great addition to our throw and go looks. The chic sweater features drop shoulders, a rolled jewel neck and sassy side slits. This cozy number is available in a wide variety of earthy and pastel shades, including burgundy stem, black, grey dark heather, heather camel and pink smoke. A great find that will mix and match with our wardrobe seamlessly, we look forward to getting plenty of wear with this knit. Priced at $129, this is a deal we simply can’t pass up. With many wool and cashmere offerings sporting a hefty price tag, this affordable design is a breath of fresh air. Its versatile styling makes this piece a standout pick with Nordstrom shoppers. Many reviewers love that “the length is perfect for pairing with leggings,” while others appreciate its roomy construction. Shoppers are also fans of its top-quality material. One reviewer even shared that this find is softer than a lot of cashmere picks on the market. The ideal complement to any fall look, we plan on wearing this sweater with skinny jeans, cozy Ugg boots and a top coat. For an office-ready ensemble, we’re dressing it up with black pants, mules, a tote bag and a scarf to make a stylish statement. We can even flaunt this piece around the house with leggings and slippers to lounge in style. Sizes XS to XXL are currently in stock in all colors. A must-have for the season, we plan on adding each shade to our closet.